What are your children up to this summer? Hello! The information in this article pertains to events in the past. Please visit the Youth Camps page for the latest details. This year, add some flash, flavour and colour to your child’s summer at either the Notre Dame and Exchange District Campuses. 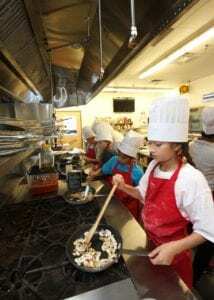 Send your kids to college to discover the culinary arts, unleash their inner designer or capture unique images, all under the guidance of our instruct experts. Camps run from 9:00am to 4:00pm, with drop-offs at 8:30am and pick-ups by 4:30pm. Red River College > Part-time and Online Education > News > News > What are your children up to this summer?